In the past decade automotive fix-up shows have been popularized on cable channels that find hobbyists and entrepreneurs rehabbing, refurbishing and re-imagining vehicles to get them back on the road. When you’re a Rock and Roll Hall of Famer with a side project named Mike & The Mechanics it should come as no surprise that Mr. Mike Rutherford had to get under the hood in order to roll forward with a few tweaks and a new crew of guys in the passenger seats. 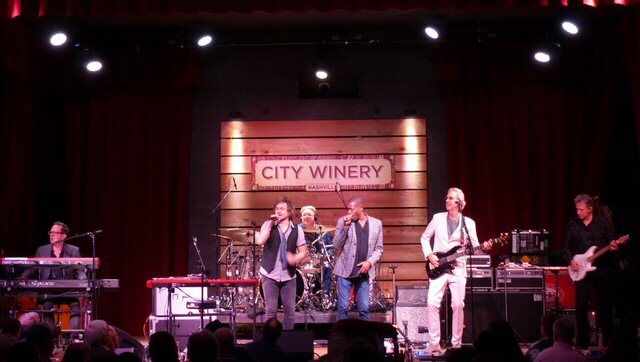 Mike & The Mechanics roll into Music City. 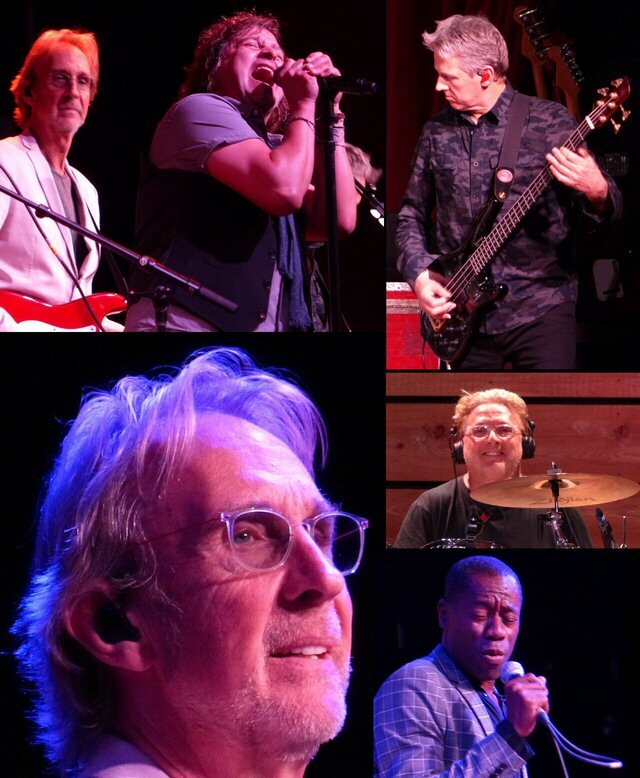 On March 25, 2018 Mike & The Mechanics had a tour stop in Music City. They hosted a fine sold-out musical celebration in the main room at the upscale City Winery on the transforming Lafayette Avenue. Singer Tim Howar thanked the city for having them back mentioning that the last time the Mechanics tinkered in town was over a quarter of a century ago. Back then the outfit was considered a supergroup and an offshoot of the biblically named prog rock giants, Genesis. With two vocalists including Paul Young and the hitmaker Paul Carrack – who also sang “Tempted” with Squeeze and “How Long” by Ace – Mike had built a music making machine that quickly hit on all cylinders with a formula that worked well with the video and radio formats of the day. But sadly, Paul Young passed away suddenly in the year 2000 and Paul Carrack was presumably unavailable or unwilling to don the overalls one more time so Rutherford got busy looking for parts that would help him get up to speed again. A decade later he emerged from the garage with a sparkling new line-up and a brand new studio album called The Road and pretty soon Mike & The Mechanics were up to their old machinations. 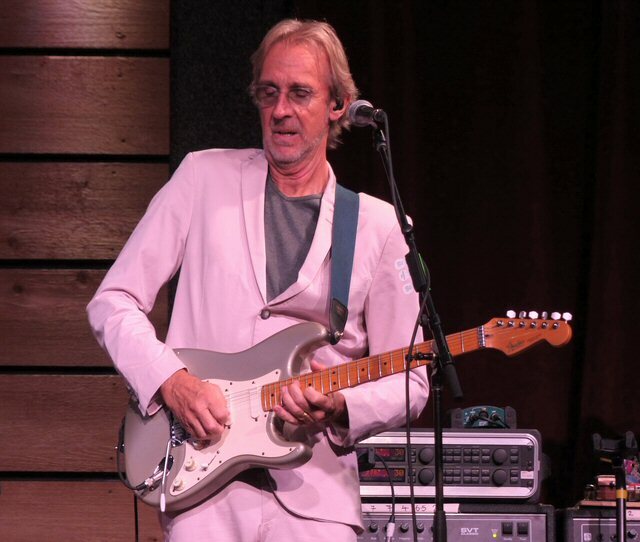 Mike Rutherford – Englishman and music royalty in Music City. From our viewpoint the M&TM were too big of a band for the venue’s tight stage but mechanics are often required to work in tight spaces and work they did for 90 minutes plus bolstered with the promise of an after show meal from the winery’s ever-changing and eclectic menu. Until dinner Mike and the boys delivered a convincing run through a set they’ve been recently putting through the paces on their current winter trek through North America. 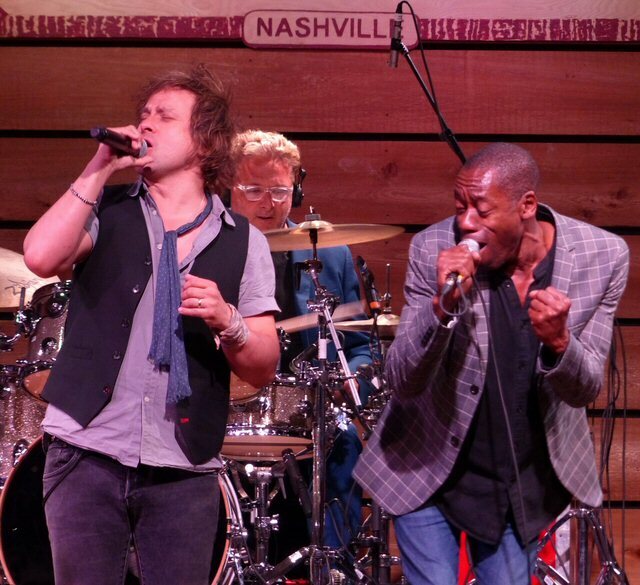 Comprised of Mike Rutherford – guitars, bass; Andrew Roachford – vocals, keyboards; Tim Howar – vocals; Anthony Drennan – guitars, bass; Luke Juby – keyboards, bass, saxophone; and longtime member Gary Wallis on drums – the cast was engaging and enthusiastic and perhaps a touch mechanical as they showcased quality and performance in Music City. With the tools of the trade in hand Rutherford stood proud in a white suit that blushed pink in the venue’s house lighting. M&TM are powered by vocalists Tim Howar and Andrew Roachford. Mike was mostly content to play chords and rhythm while serving as a bandleader and group namesake. He was not a spotlight stealer as illumination was reserved for all the night’s workers – especially in the encore that revealed that group as jam band capable. There they ventured into snippets of “Lady Madonna”, the “James Bond Theme”, “Superstition” and “Purple Haze” during band members solos inside of their own “Word of Mouth”. With a set that contained a few choice Genesis covers, vibrant new tracks and fan favorites like “Silent Running”, “All I Need Is a Miracle” and “The Living Years” it was plain to see the Mike &The Mechanics are a band that is truly alive again. 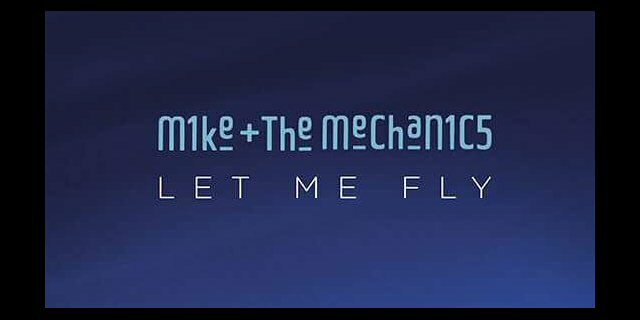 With a bright future established and a new album complete with fresh material called “Let Me Fly” maybe Mike should turn his attention to working on futuristic flying cars. There’s your answer to that whole Nashville traffic referendum. Vote MIKE on May 1. More scenes from the City Winery.